it was stripped and sanded. the new stain to go on evenly. baked from the sun. 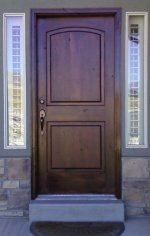 The door faces south. 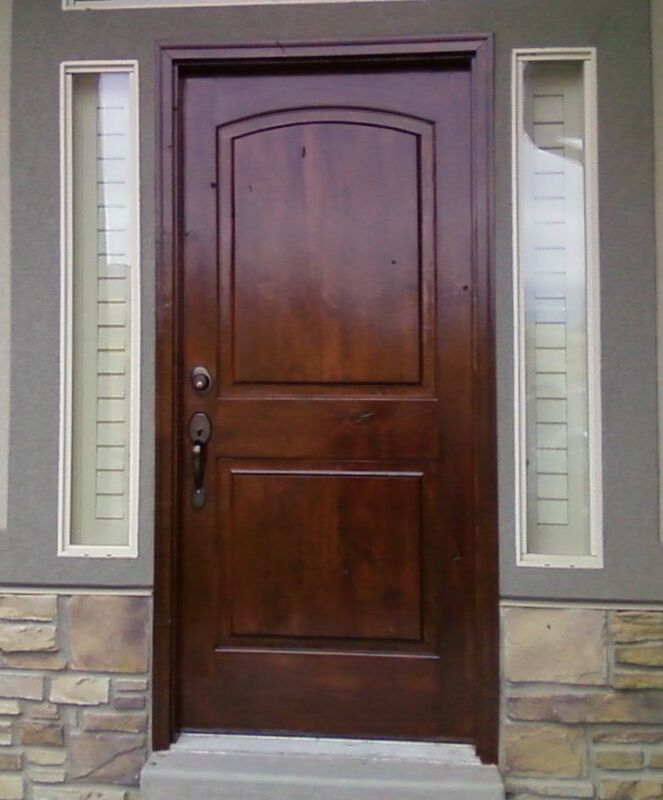 This is the refinishing process for this wood door. 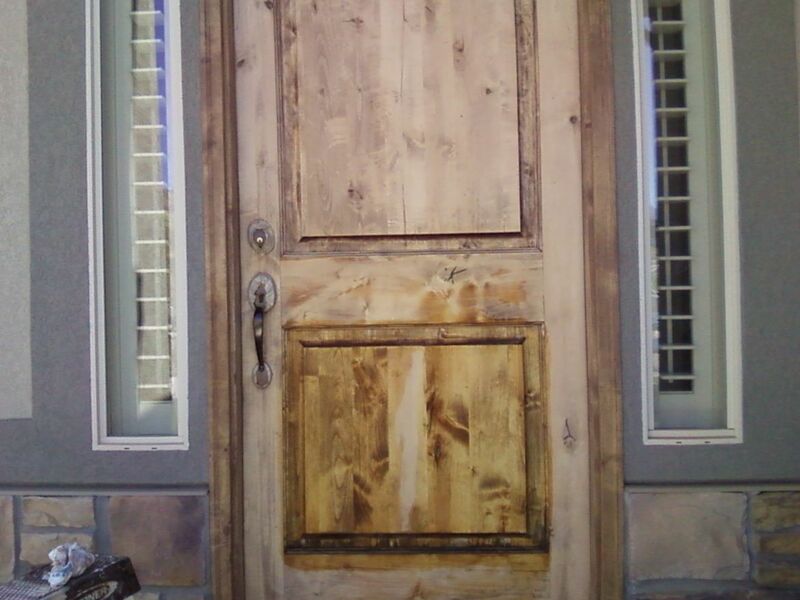 The door was stripped and sanded to bare wood. 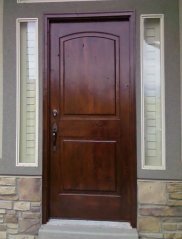 The wood was sealed with a pre-sealer to prepare the door for the stain. 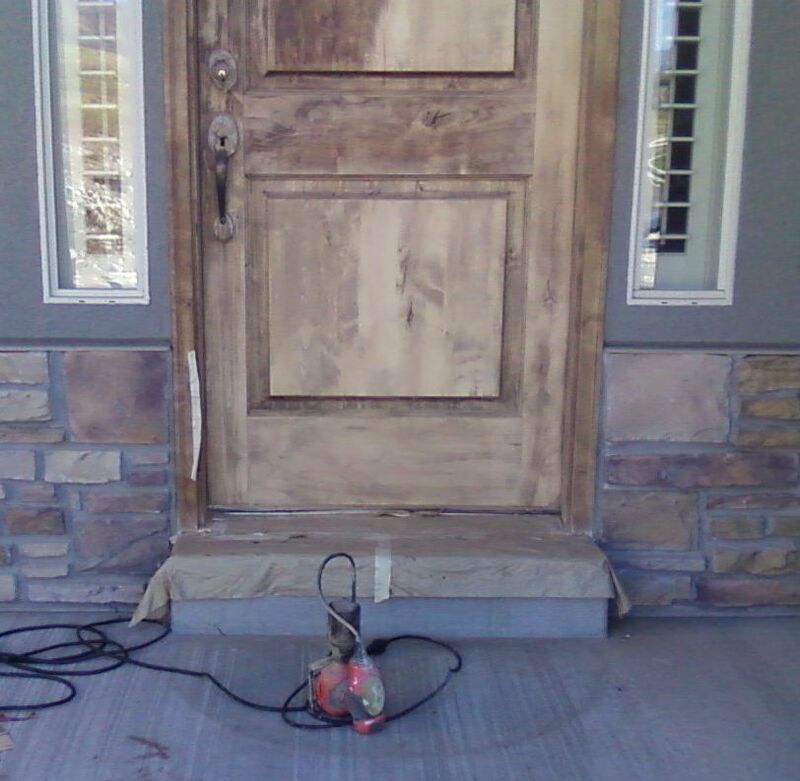 Pre-sealing enables the to stain to go evenly. A custom made stain was applied. 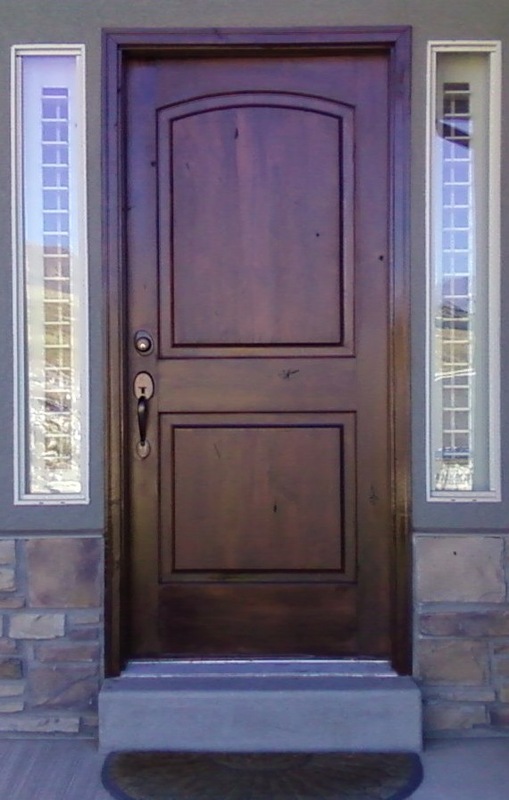 Two coats of a clear sealant were applied to add longevity to the finish. 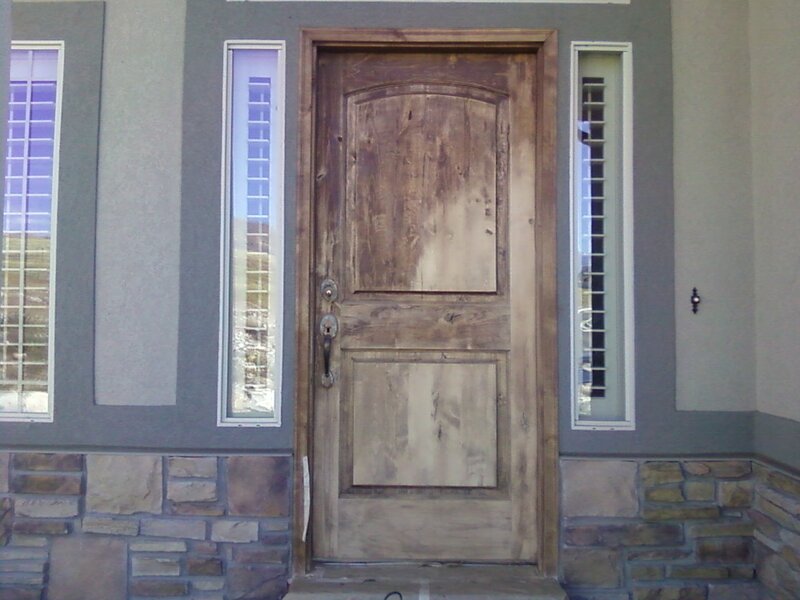 This door is in Saratoga Springs, Utah.